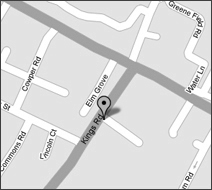 At Kings Road Dental Practice we want to make every visit as pleasant as possible. On your first visit to us, please proceed to our reception desk where a member of our team will greet you. They will ask you to fill out a short medical questionnaire, which will include any medications that you may be taking. If you have any problems filling out the form a member of our team will always be on hand to help you. After completing the form you will be invited to take a seat in one of our comfortable waiting lounges. This may be upstairs or downstairs depending on which member of our clinical team you are booked in to see. Here you will find an up to date selection of current magazine titles, there is also chilled fresh water on tap if you’re feeling a little thirsty. We hope that you feel comfortable and relaxed in these areas, but we will always try to not keep you waiting. One of our dental nursing staff will then invite you to come through to meet the dentist who will by this stage have seen your medical history form. Our first task will be to make you feel at ease and listen to you. We will ask you about your dental history including any fears you might have. We will want to know what you would like us to achieve for you. This might just be to help you with your toothbrushing and oral hygiene, or it might be to work towards a full dental reconstruction……..or anywhere in between! We will want you to ask questions of us and of course we shall give you a full range of treatment options available to suit your requirements. A full mouth examination of teeth and all the soft tissues to assess any dental or gum disease. The examination will also allow us to spot any abnormalities associated with mouth cancer or other medical problem. Any relevant small or full mouth radiographs needed to help in our assessment and diagnosis will be taken. Our digital technology often allows us to have the results of these radiographs immediately. A discussion with you of any findings and treatment options. A written treatment plan estimate will then be provided at reception where all the costs will be itemized. One of our reception team will immediately know what to book for your next appointment…….It’s that simple. Of course you may well want to have some time to think over the options and then come back to us with a decision or even a further consultation. We may request that you come back for another consultation if the treatment is of a complex nature.